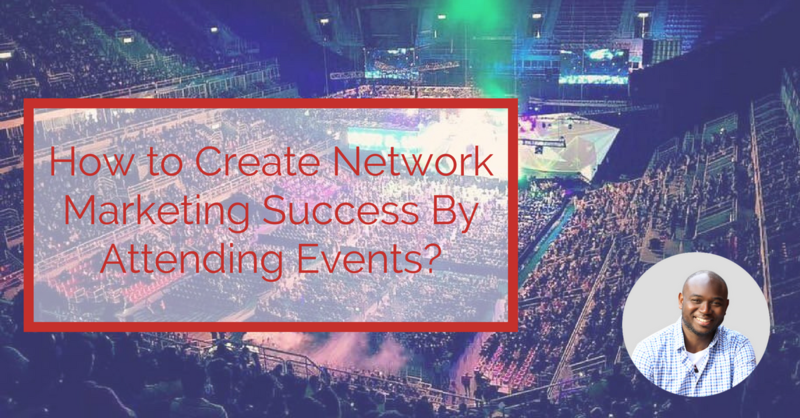 How to Create Network Marketing Success By Attending Events? 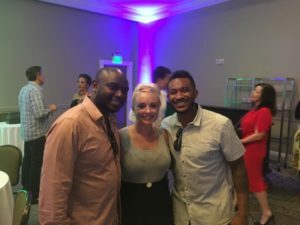 IF you’re serious about network marketing success, you MUST attend events. They are great for networking, learning new skills, increasing your excitement, belief, passion and re-energizing yourself about the profession, your company vision, products, etc. Anytime you have the opportunity to hear from top earners and industry legends like Ray and Jessica Higdon, Cesar Rodriguez, Robert Hollis, Jeff Roberti, Taylor and Larry Thompson, Diane Hochman, Angel Fletcher, and others, you MUST get there. Not only did these rockstars share golden nuggets and secrets from their playbook on stage, that literally would GUARANTEE (if applied) your network marketing success, they made themselves available before and after the day's event to hang out, socialize, take pictures and answer questions. That's the true power of attending network marketing events. Throughout this article, I'm going to share with you my biggest takeaways from these leaders. To be notified when this article is updated, click here and I will message you on Facebook. Here are some photos from this past weekend at the Highdon Group's Prospecting and Recruiting Summit. You can check out more on my Facebook Fan Page. “I attend no events,” said no top network marketing leader EVER! If you were to interview any 6-figure or 7-figure leader, you would find a common theme between all of them: They all regularly attend events. But if you were to conduct interviews with dozens (even thousands) of people who haven’t had success in this industry, you would also find common denominators. The majority of those unsuccessful in network marketing have a limiting belief about themselves and/or the opportunity that stops them from achieving massive success. And if you ask those same people if they’ve attended any events, you would hear back many excuses of why they didn’t, couldn’t, or won’t. 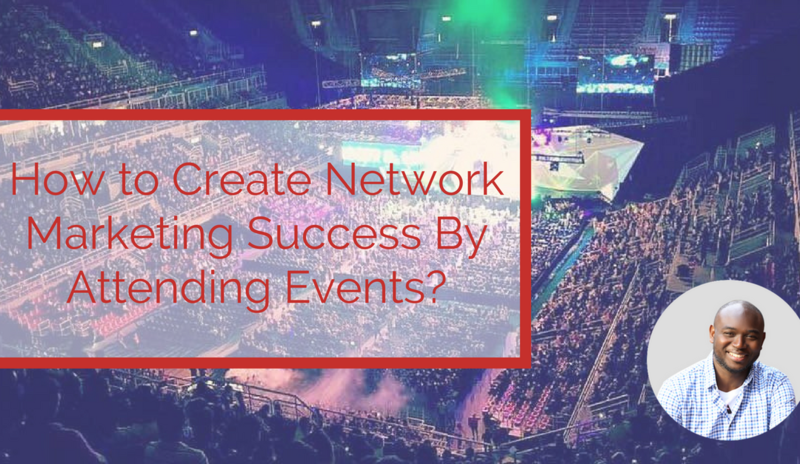 There is a direct correlation between attending events and achieving network marketing success. The reason behind this parallel is simple: Those who attend events are given all the knowledge, training, and motivation to be successful in the business they are building. Any excuses for not being able to ‘make it happen’ are deleted the moment you enter your first event. There are dozens, if not hundreds of reasons why someone should attend events in Network Marketing. Here are 3 simple reasons I believe events are important. We are products of our environment and what we surround ourselves with plays a big part in our success. If were to attend a live concert or basketball game, the experience would be 100% times different if you were in the comfort of your home listening to the concert on your stereo or watching the basketball game on TV. If were to attend a live concert or basketball game, the experience would be 100% times different if you were in the comfort of your home listening to the concert on your stereo or watching the basketball game on TV. The same is true for network marketing events. The belief, vision, and excitement you walk away with from a network marketing event can play a large part in your network marketing success. When you see the vision behind the company, when you meet people, just like you, when you see regular people having success, your belief will be bigger than ever. When you attend network marketing events you get EXCLUSIVE access to top leaders and earners and learn what's working now in their business to produce results. Imagine having a mulit-millionaire on stage sharing with you EXACTLY what she did to sponsor 14,000 people in the span of 30 days (don't worry that article is coming soon) or…having another millionaire take a photo with you and tell you what to say when someone gives you the “I don't have any money” objection (also coming soon). having another millionaire take a photo with you and tell you what to say when someone gives you the “I don't have any money” objection (also coming soon). There's a unique intimacy with events that give you an edge over others in your team and in the profession. Attend events and take advantage of it. 6 and 7-figure earners don't just attend events for the training, although the training is usually top notch. Most of them already know the stuff that is being taught but they are wise enough to know that the REAL value is in the networking. Even if you're not a top earner yet, there is no better way to meet and pick the brains of successful people than at live events. And if you can, I always recommend going VIP. Your network marketing success is dependent on how many events you and your team goes to (and take massive action afterward), plain and simple. If you're looking for the next event that I'll be attending, you definitely want to check out Live The Dream 8! Events motivate us and we get to learn things and meet people that we could never get from any recording. Make sure you and your downline attend as many live training events as possible because years from now, you’ll be able to pinpoint the exact event that turned your business around. One of the biggest challenges and struggles networkers face on their way to network marketing success is they go out and get shot down. And they lay in their own pool of pity and excuses, never knowing that the whole scenario could have been prevented if they make the internal shift that Ray Higdon shared during his Prospecting and Recruiting Summit. In the video below, I share how you can become bulletproof and “un-messable” on your journey to network marketing success. Also speaking at Ray and Jessica Higdon's Prospecting and Recruiting Summit were Richard Fenton and Andrea Waltz of Go for No. 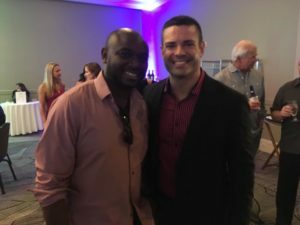 They actually just co-authored a book with Ray Higdon, Go for No for Network Marketing. 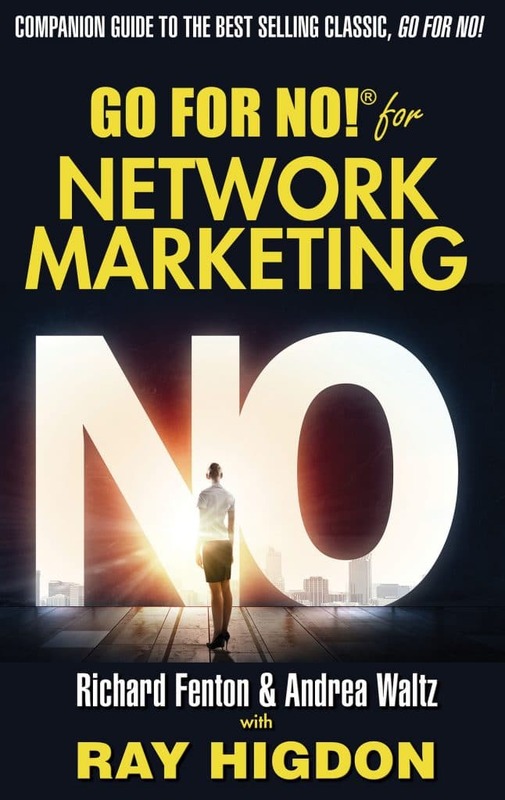 When thinking of Network Marketing Recruiting and Network Marketing Success, what does it really mean to Go For No and how exactly does that work? Ray Higdon actually used Richard and Andrea's strategy to go from struggling in network marketing to becoming a Top Earner in just 5 months. I think he went for something like 20 No's per day for 6 months. How many times are you willing to hear No before you quit? In network marketing, you either succeed or you quit. @GoForNo Click To TweetIf you're really serious about becoming a Top Earner, this will really assist you. Getting No's when you're using this method can and will be tough. Because it's not phone calls, Facebook messages or posts. It's REAL people saying No to you over and over again. As Ray Higdon did when he went for 20 No's a day.. it was…. As I share above, if you're not bulletproof and “un-messable” the moment you hear one, two or a few No's you're going to get knocked out of the game. When you do and are rejected, it hits you hard and you begin to question the validity of yourself and the profession. What if for a second you had an unwavering belief in the profession, your product, and your opportunity and were unphased by someone's response or reaction? Some Will, Say Yes. Some Won't, Say Yes. So What? Somone's Waiting. If you can prevent yourself from being knocked out of the game you’re going to last longer. You’re going to talk to more people, and you will create success. Do you have a “no” goal? (if so, how many “no's” do you plan on getting each day. If you are consistent. You will hit your numbers and you will get some yeses. As you move through getting your daily NO's, recognize that No's are really just a NOT YET. People's circumstances do and always change. They may experience a financial challenge, they may need to lose weight or need a vacation. And if you've been a good steward of the people who have told you NO, they will remember you and reach out to you when the time is right for them. Which means 92% of all people give up before getting a fifth NOT YET! 60% of all customers say No four time before finally saying YES. If you want to crush the game, stay in the game until…. 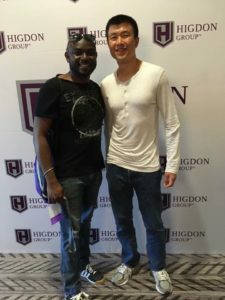 Simon Chan is the founder of MLM Nation, the #1 MLM training podcast on iTunes. He’s been involved in the network marketing profession since 2003 and is a business coach, writer and online marketer who helps network marketing distributors find more prospects, sponsor more people and create duplication. At the Prospecting and Recruiting Summit, Not only did Simon share his 6-pack abs (no seriously, he did), he also shared 3 Secrets to Success as an Introvert. Being an introvert isn’t necessarily a bad thing. I am an introvert. (Yes, it’s true I am). We just approach building our businesses differently than extroverted and outgoing people. 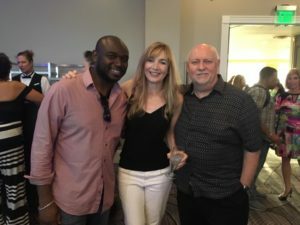 Here are three things that helped Simon stand out and crush it in his business, to the tune of 70,000 distributors in over 18 countries. Have you heard the phrase, like attracts like? Well, it's true. In life and in the network marketing profession, it is critical that you be your authentic self and not someone else. We're taught growing up to fit in and not go against the grain, but The key to success is to observe the masses and do the opposite. Click To TweetIn Simon Chan's example from the stage, he did all the things people were unwilling to do and thus he amassed ridiculous success. If most people quit, he did not. If most people watched TV, he did not. The bulk of Simon's success can be attributed to mastering online marketing. He learned lead generation strategies which helped him to create an endless supply of highly-targeted and motivated prospects to talk to. What would it mean for your business if every day you had anxious, ready and willing people who wanted your product, service or opportunity? That's what we call attraction marketing. Instead of being the hunter – making your list of 100 friends and family, hosting home parties, and prospecting in the mall and at Starbucks, you become the hunted. Instead of being the hunter – making your list of 100 friends and family, hosting home parties, and prospecting in the mall and at Starbucks, you become the hunted. People begin to seek you out. 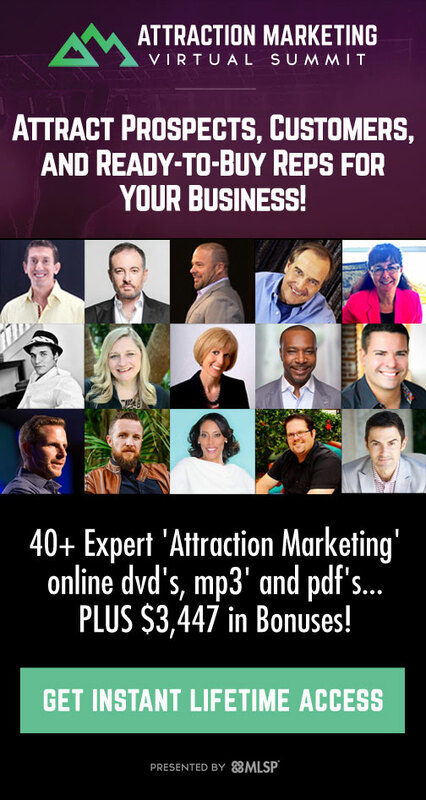 So where do you go to learn attraction marketing and how to become the hunted? For the past two years, I've been using a marketing and training platform called, MyLeadSystemPro. It's like the Harvard University of Online Marketing, minus the 5-figure price tag. Click Here To Take Your Risk Free 10-Day $10 Test Drive. Probably the biggest nugget Simon dropped at Ray Higdon's event was to tap into new markets early. Your company, if it's growing, is going to expand into new markets. If you can get there early and plant your flag, you can reap significant rewards. Simon built a local team in the USA, but also realized the advantage of going into new markets early and made the commitment to establish a strong foothold every time his company opened in a new country. This led him to create one of the biggest teams in Malaysia and in the Philippines. Keep your eye out on where your company is headed and make strategic decisions to get in early. How would it feel if you knew what to do to sponsor 14,000 people in 30 days? 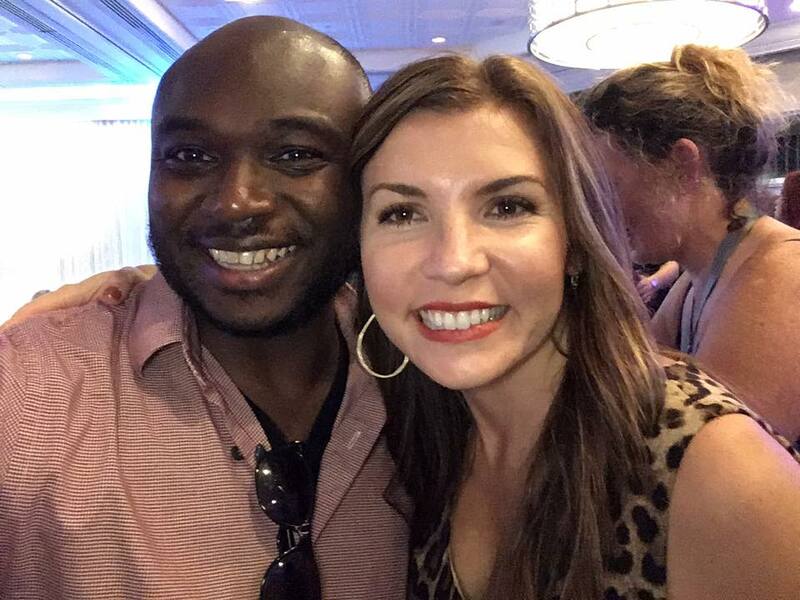 What if I told you the one nugget Angel Fletcher shared at Ray Higdon's Prospecting and Recruiting Summit that would allowed you to get 0.1% of her result? Would that be helpful? Yes? Well, before you dive into the video below. Let me share a few quick things about April and acknowledge all the doubts you're going to have about her strategy. Angel Fletcher is some what of a rockstar, but she's just like you and me. She's human. For 20 years, before she found the network marketing industry she was married to an abusive and alcoholic husband. She found network marketing 4 YEARS AGO and change her life. In her first company she became the #1 income earner in just under a year. She then left that company and started all over in a new one where she achieved Million Dollar earner status in only 353 days. She loves helping people achieve freedom and in the video below, you'll get the one thing you MUST do if you want to achieve massive results in your business. Here's the deal though. I know that some of you will watch the video below and want to achieve network marketing success and think to yourself that there has to be more. What system is she using? What's the magic tool? That can't be all. Trust me when I tell you…. what I share below is all she did. So, if you've read the rest of this article, and apply what Angel shared, you can create massive success in your business and impact others. Did you get value out of How to Create Network Marketing Success By Attending Events?? Leave a comment below and share it with your friends on Facebook.